Watch this site for more details!!! Delicious treat for family, friends and co-workers. THANK YOU gift for your customers! Order 5 dozen or more and we will deliver!!! 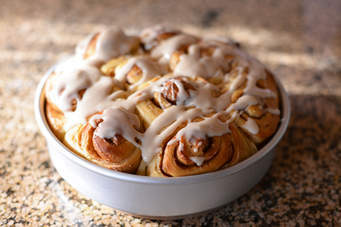 2018 Holiday Cinnamon Roll Sale! AND THAT'S ALOT OF CINNAMON ROLLS! made this year's sale a huge success!! Could not do it without our VOLUNTEERS!!! !